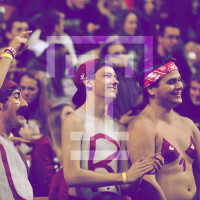 This series highlights Temple seniors: their experiences at Temple University and what they plan after graduation. Chappelle Russell, Aidan Peirce, and Tiffany McLoyd talk about their path to Temple, why they chose to study media studies and production, and their future plans. In the second segment, Johny Evans, Zach Corey, and Allyson Franck discuss their favorite classes, living on their own for the first time, and the social life on-campus.